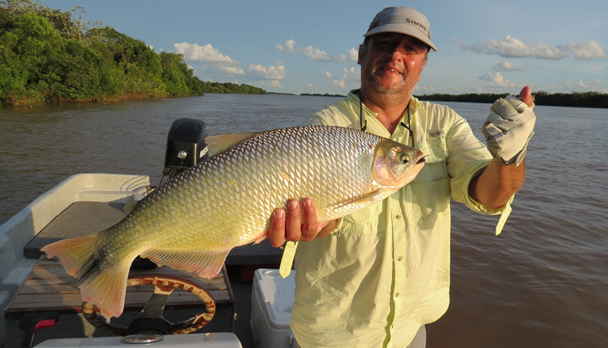 The area between Itatí and Ita Ibaté in the province of Corrientes on the Paraná River is one of the few destinations in the Argentine Northeast where big golden dorados can still be fly fished. 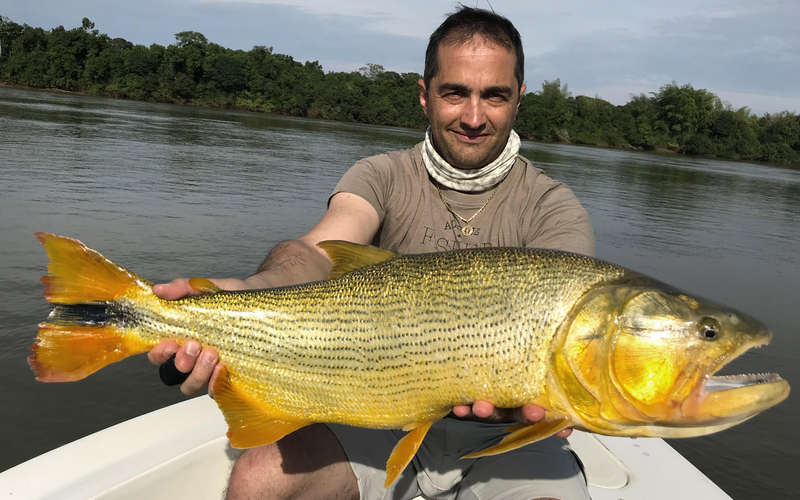 The natural features of Paraná River in this area, with clear and rough waters, many geographical features, islands and wide stone bed riffles, turn this spot into the ideal destination to find these amazing predators. To access the area, you can fly from Buenos Aires to Corrientes or Resistencia, and then drive for 3 hours. 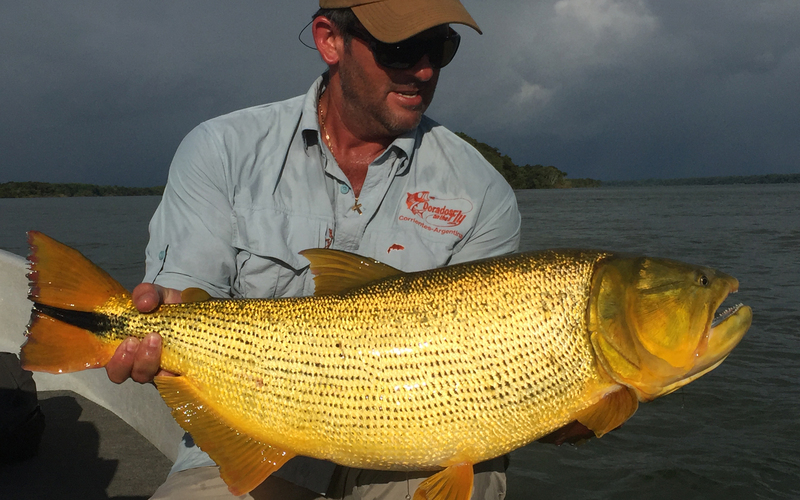 The dorados caught in Itatí weight between 5 and 10 pounds. However, over 15 and up to 25-pounders are usually caught. 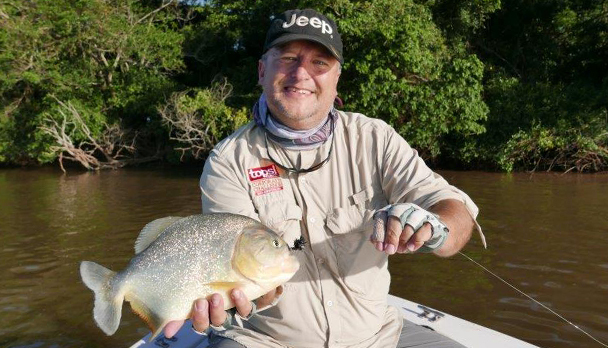 There are also Pacú, a species similar to the Permit, which usually weight from 8 to 12 pounds. Another species found in the area is the Pira Pita (called "salmon" by local people). They can reach 15 pounds, and are good fighters and jumpers. 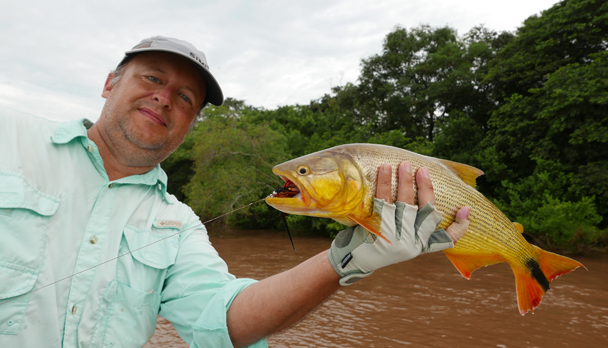 All in all the fishing can vary and be definitely fun. 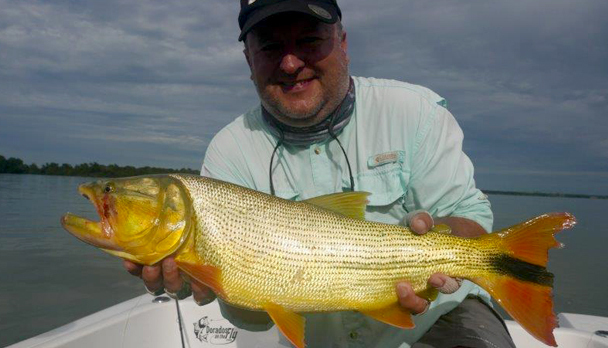 These last species can also be caught on dry fly. 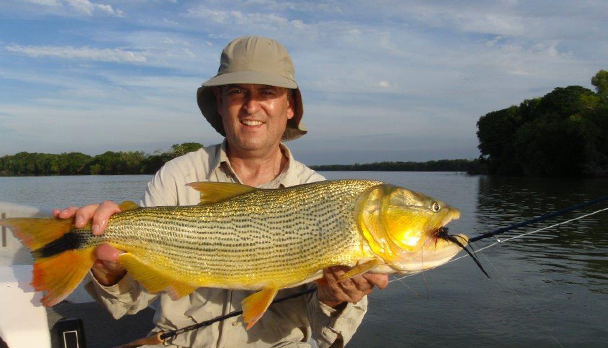 The fishing packages include roundtrip transportation from Corrientes or Resistencia, full board accommodation, fishing on boat and well qualified fishing guides with a wide knowledge of the river. Breakfast is served at 5.30 am. 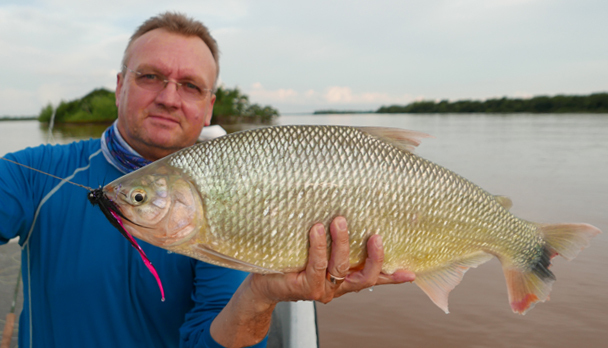 Depending on the fishing spot picked by the guide that day, the anglers are taken to fish the channels or to Repeski, famous for the heavy concentration of fish, 15 or 30 minutes away. Because of the high temperatures at midday, we usually return to the Lodge for lunch and take a nap. 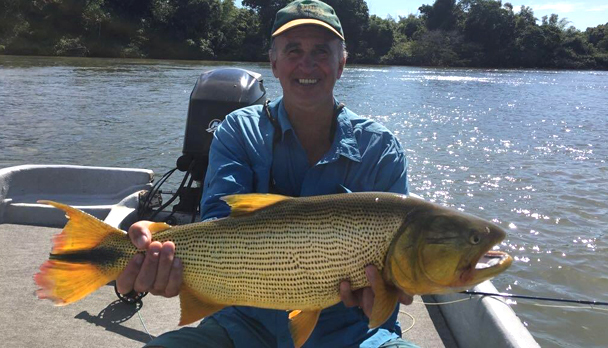 We go back to the river at 3.30 in the afternoon to fish until sunset. 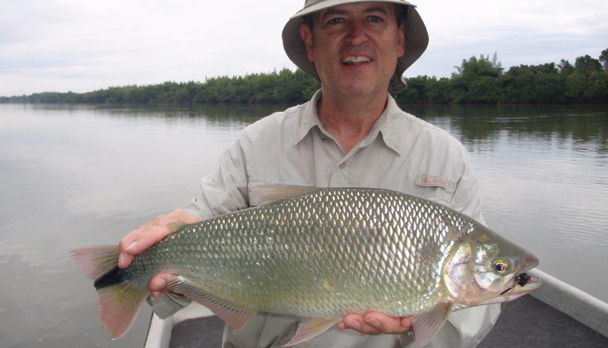 The fishing season runs from January through June and from mid August through November 1st. Accommodation is offered at different Lodges or Ranchs with excellent facilities. The fishing trips are done in the morning and in the afternoon, usually coming back at midday for lunch and a relaxing nap. Reels: Any high performance reel will do, with a good brake system and no less than 150 yards 20 lbs. backing. Lines: WF floating line for tropical weather. Also, fast-sinking shootings Teeny T-200 and T-300. Leaders: for floating lines from 7 to 9 feet long, with strong butts to turn big flies, 20-pound- resistance tippets, with 20 cm of 20-pound steel wire. Flies: Deceiver type, sizes should range from 1/0 to 4/0. Poppers and divers are also used for Pacú and Pirá Pitá. Black, purple, chartreuse, white and yellow and its combinations have proved good color options. Accessories: Pincers, hook sharpener, a pair of pliers, polarized glasses, sun block, lip protector, insect repellent, neoprene wading boots, etc. Clothes: Light shirt and trousers for tropical weather ( Exoficcio, Patagonia, Columbia, etc), hat, sandals, and a light water-proof jacket. 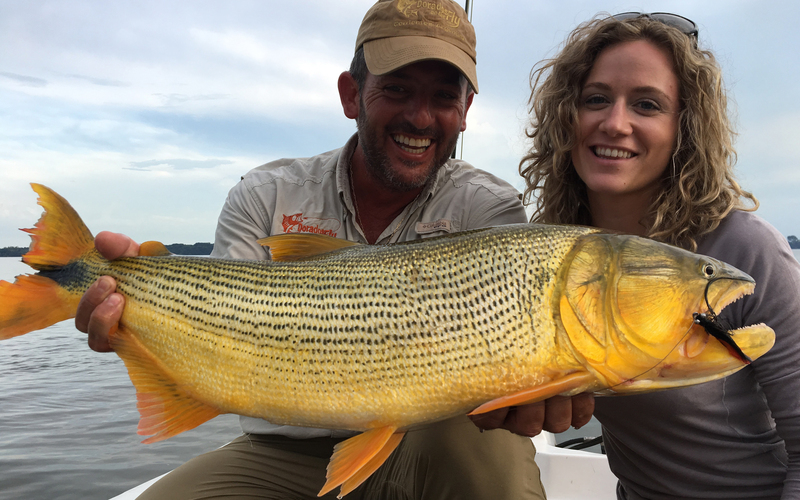 Rates include: Ground transfer Corrientes round trip; 6-night accommodation with all meals and beverages (wine & beer); 5 fishing days with bilingual qualify guide and boat. Fishing license. 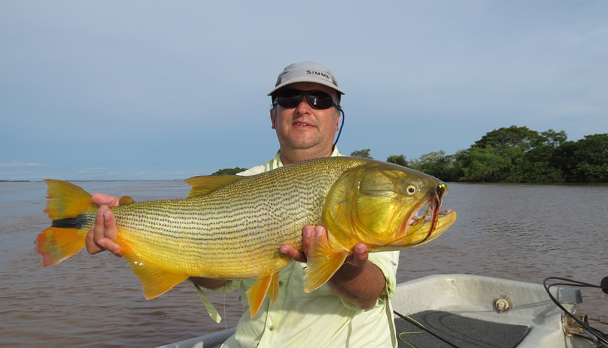 Rates do not include: Airfare to Corrientes and return; personal health insurance; fishing equipment and flies; imported liquors; gratuities. Notes: It's recommended to take the flight from AEP at 14:20 hs and return from CNQ departing at 16:40 hs. 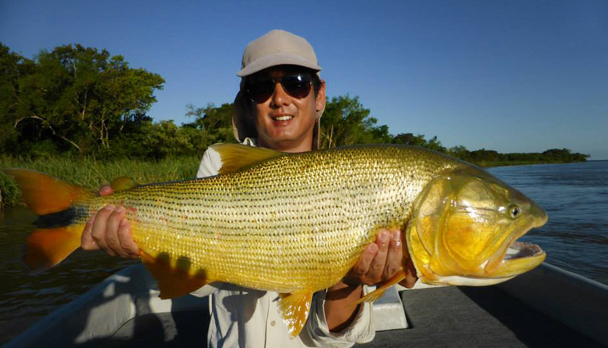 The season began by end December with good fishing, low and clear waters. 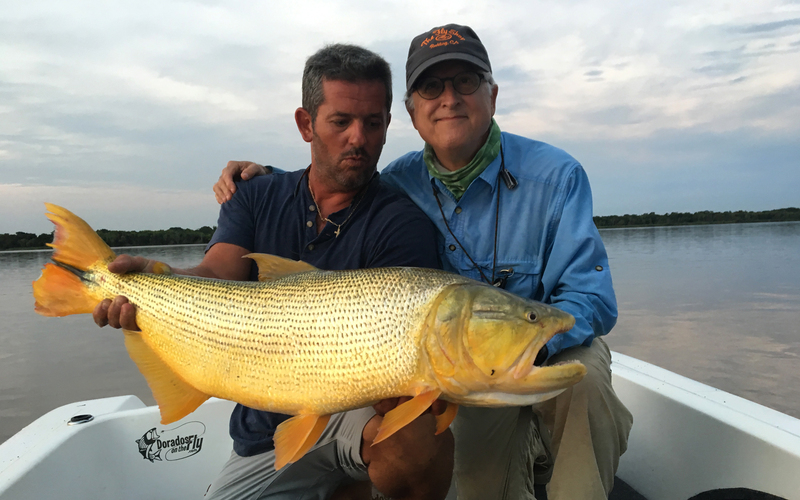 Pinti's lodge was as fantastic as before, really enjoyed this again, we all landed good fish BUT, there was only one really huge, Steve's fish of 40lb. 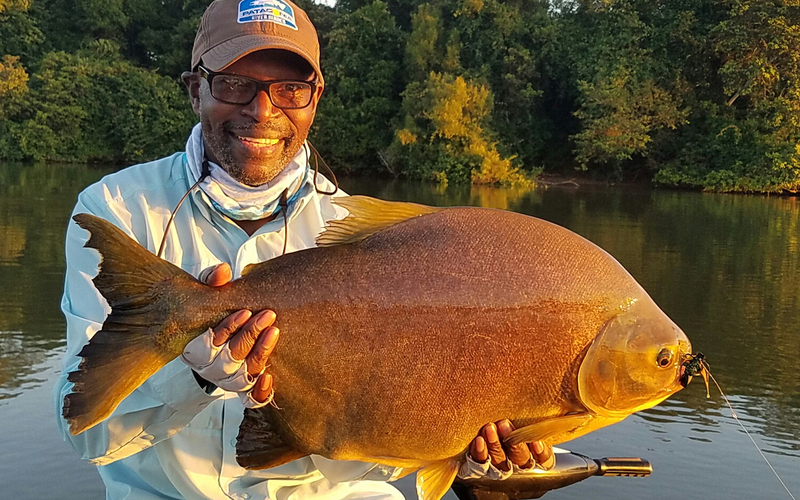 A fish of a life time...we all had our chances with Pacu... a fantastic set up. 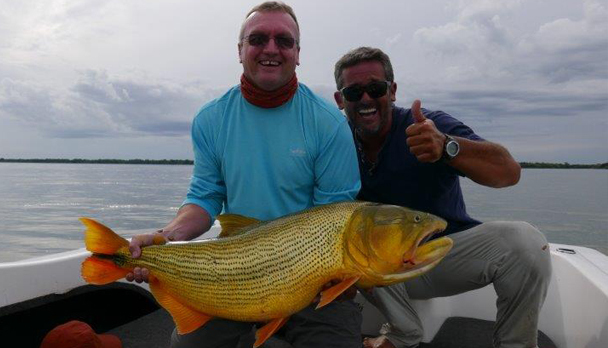 It was a fantastic trip, the lodge on the Parana was top! In terms of food, facilities and wine is was first class. 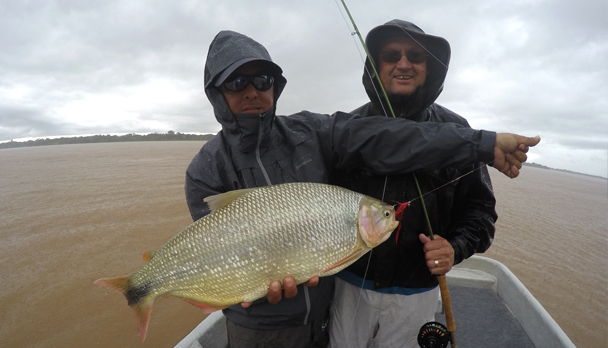 Despite the massive flood waters the guides really did an amazing job, we battled quite a lot but probably landed 20 fish each of us (3 anglers) in 4 days; both big pira pita and golden dorado. 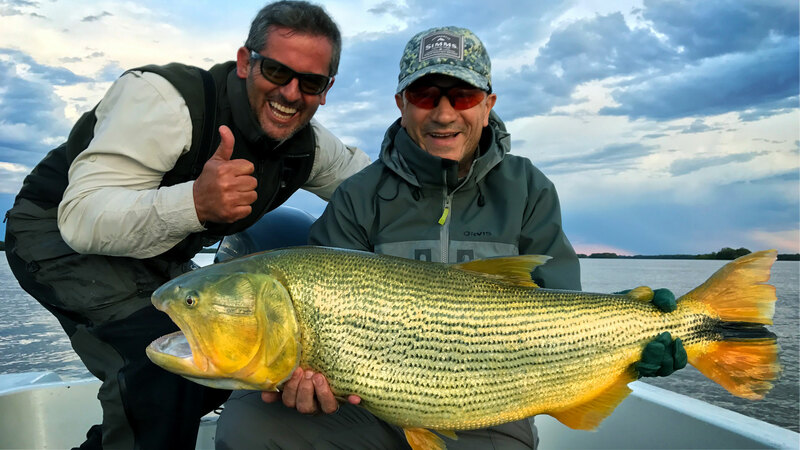 Gavin and myself got one of around 10 pounds and lost a really big one very close to the boat (I can still hear from South Africa the guide's cursing!!!). We definitely all had unfinished business at Ita Ibate. Thank you for the organization.